No, it’s not your imagination. You heard correctly: a judge ordered children into a detention center and then into a special “camp” because they reported on family violence and asked to not be subjected to further abuse. The children spoke up because they did not want to be separated from the parent protecting them. This issue is not about gender but about ignored facts and profit motives of certain professionals; it is just a game that is played in family court, and it harms mothers, fathers, grandparents and always the children. At My Advocate Center in Atlanta, Georgia, we have been receiving data from and reporting on cases involving (equally) damages to good fathers and to good mothers, cases in which nothing makes sense when you look at the facts and available evidence and testimony. The Michigan story this Psychology Today writer reports on could almost as easily be featuring a father who has been wrongfully separated from children who have asked for protection from their mother. That is the situation in an Augusta case covered by The Augusta Chronicle. It was not the father who was violent (per DFCS records which were hidden from the father), the child did testify on his behalf as did a competent, ethical guardian, but the facts and the needs of the child were ignored…while the father was stripped of everything – his rights to and time with his child, his financial assets, his job, and he was put in jail. The wrong outcomes are being forced upon good people and abused children as frequently as you see panhandlers near a highway or intersection; it is just something that happens and that many people have become numb to, but this happens to an unsuspecting public and causes irreparable harm. Currently there is no way to recover, including no way to recover or to bring home these children. Coercion and intimidation tactics, and retaliation methods, rule the day, just like we see in this Michigan case with the children put in detention centers, cut off from their mother and the mother put under a gag order. As in other cases, the children are old enough to be heard and to be believed, and they were clearly not represented properly by professionals charged with the duty of representing their best interests. Psychology Today contributor Jennifer Baker, PhD, nails this story and the problems emphatically with her pen, in this article and in others, including this one and this one. This case and the issues is raises are not going away anytime soon. This is one reason we focus on the needs of children consistently when noting questionable conduct and outcomes. The term best interest has been so badly misconstrued or even corrupted that it has become meaningless, at least in terms of the results shown in thousands of cases across the country, and around the world. Children are being betrayed when they ask for help and often silenced as the judge did in this case. It is almost impossible to fathom that this is happening, let alone that it is often intentional and done in bad faith and with a complete lack of empathy for the trauma being caused to children and to the parents they need and want. This is also a reason we emphasize to legislators that loopholes must be closed that allow certain court professionals to block evidence and testimony that should be used to protect children and victims of abuse. Evidence and testimony should be recorded and used for the benefit of our most vulnerable citizens; it is just not that complicated, but our data reveals that the opposite is taking place when cases are easily manipulated and controlled by certain attorneys and select child custody experts. If you read the transcript of this Michigan case and the associated articles, you’ll see what we mean. It is simply more profitable to keep children and safe parents off-balance, unprotected and ignored. They have to spend money to fight back, until there is nothing left to spend. But typically the other side – the side driving the stress and trauma – will keep on spending. 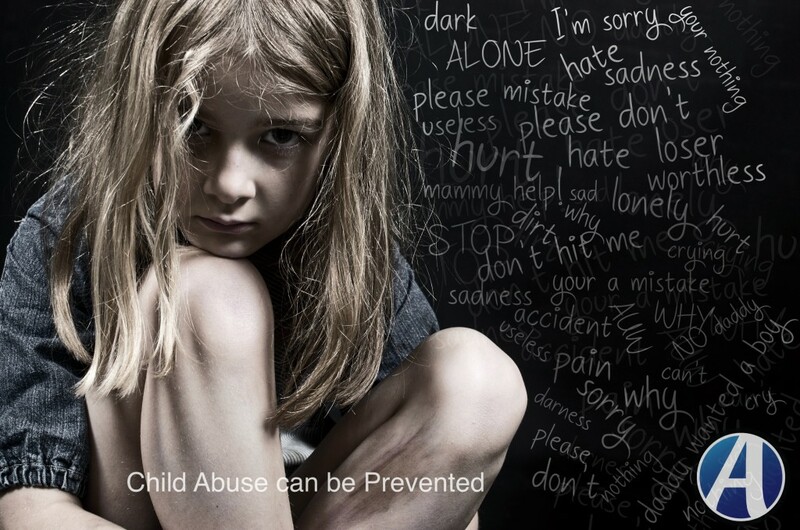 Profit over protection has become a pattern or a formula followed by professionals who typically lack oversight and who believe there will never be any consequences for causing harm to children. We advocate for children to have the best of both parents, meaning the best that each has to offer, and that sometimes means one or both parents need to receive a “tough love” message from the court or the right treatment for addiction or counseling to manage bad behavior, but it that message should NEVER mean sentencing and locking up children who have not done anything wrong. Unfortunately, children in many states are being convicted and locked away – from safe, loving and available parents and families – when they asked to have a voice and to be protected. To learn more or to report details of similar cases, please visit our Report Cases form on MyAdvocateCenter.com. Is Privatized Probation another form of Profit Over Protection? Attorney Jack Long of Augusta feels as strongly about the need to protect the public on this issue as Deb Beacham feels about the need to protect families and children from the highly-paid contractors – guardians ad litem, child custody evaluators, for example – who are setting parents up to fail. This problem in family court relates to the probation servicing problem in that people are unaware they cannot manage this process, and once targeted, there is no way out. The same ugly challenge exists for parents trying to manage child support demands, even when the facts of the case support their arguments and should clear their debt and exonerate them. “(Governor) Deal has made criminal justice reform a priority, and the task force he formed is expected to release a new report this month on changes recommended to the probation system. As reported by the Atlanta Journal-Constitution, among the proposals will be a requirement that private companies disclose the revenue they take in with their supervision fees, as well as more safeguards in the local court system to prevent the very poor from being jailed because they are unable to pay the fines. What reforms Georgia is able to take on could be a model for other states that, for better or for worse, are considering expanding their use of private misdemeanor probation systems. The reality is that good parents – mothers and fathers – are being set up to fail in every way by these professionals because there is zero transparency, and no chance for accountability for their wrongdoing. That may be because there is no “Jack Long” fighting this fight. Many parents are being coerced, extorted into paying for services they don’t need, while evidence that would exonerate and protect them is being suppressed and ignored by these highly-paid professionals. There is no oversight, and attorneys who are involved are not reporting on the professional misconduct happening before their eyes. Profit over protection? Just like with misdemeanor fines and supervision, many family court issues are being used as a profit center for these private contractors. Fines upon fines are stacking up, with litigants being denied billing records, custody reports (yes, the ones they are billed for and even jailed over), transcripts and even their case files. And many of these parents are NOT the ones who have broken the law and “brought this upon themselves” by their actions. This goes for honest parents who are set up to fail in child support matters, because a professional may see an opportunity to profit from falsely accusing someone of not paying what is owed. The use of these false claims and the denial of due process is causing more people to be jailed and subjected to such probation service providers. ATLANTA, GA (WFXG) – with credit to investigative reporter Nick Lulli. The Supreme Court of Georgia has ruled that a Georgia statute that allows state courts to contract with private probation companies for the supervision of misdemeanor probationers is constitutional. The 41-page opinion released Monday partially affirms and partially reverses the judgments by Superior Court Judge Daniel Craig of the Augusta Judicial Circuit in the lawsuit brought by 13 misdemeanor probationers against Sentinel Offender Services, LLC, a private probation company. The state’s high court ruled that state courts and private probation companies are prohibited from lengthening a misdemeanor probationer’s sentence beyond what was originally ordered. However, the ruling says judges are allowed to impose electronic monitoring on probationers. The plaintiffs challenged the statute as unconstitutional because it allows employees of the private probation companies to act as officers of the court while owing a duty of loyalty to their for-profit employers. 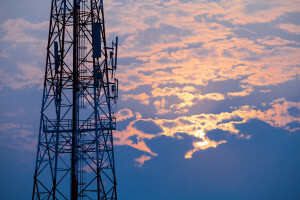 They also sued to recover monthly fees collected by Sentinel. They said Sentinel continued to collect fees past the original end dates of their probation periods. The state Supreme Court ruled that Sentinel had no right to collect monthly fees from the Columbia County plaintiffs because the contract between the company and the courts was never approved by the Columbia County Board of Commissioners. The statute says that the “governing authority of the county” must approve a private probation services contract. In Richmond County, where there was a valid contract between the courts and the private probation company, the high court agreed with the trial court that the plaintiffs have no right to recover fees paid to Sentinel during the original terms of their probation sentences. The high court said the Richmond Count plaintiffs may have a right to recover fees paid to Sentinel after the expiration of their original sentences, but said those plaintiffs’ cases must be considered separately by the trial court. The high court didn’t agree with the trial court on fees paid for electronic monitoring. The high court said “only where electronic monitoring was unlawfully imposed by the court on a misdemeanor probationer after the expiration of his or her original sentence would such fees be potentially recoverable.” That will also have to be determined on a case-by-case basis by the trial court. A $2 can of Icehouse beer cost Georgia taxpayers $3,000. Homeless veteran Tom Barrett stole the beer from a convenience store in April 2012. “I just wanted a beer, and I’m not saying I’m proud of it, I’m ashamed of it really,” said Barrett. Barrett was fined $200, but he didn’t have the money to pay the fine all at once. He was ordered onto probation, supervised by Sentinal Offender Services. But there was a catch: A monitoring “startup fee.” Barrett didn’t have money so he spent two months behind bars. Taxpayers were stuck with $3,000 to house Barrett in jail. “You’re looking at an average of $50 per day in the state,” said attorney Jack Long, who is representing Barrett in a civil lawsuit against Sentinel. Barrett finally got out of jail, when his AA sponsor paid the startup fee. But Barrett still had trouble keeping up with the ongoing probation fees. “The only income I had was selling my plasma,” said Barrett. He said Sentinel told him he could be thrown in jail again. “They said, once you get in arrears of $500, you’re going to be locked up,” Barrett told Channel 2 Action News. Kathleen Hucks, who has epilepsy, was supposed to finish probation in 2008. That’s when she paid off her fees and had a zero balance. She was stunned to find out four years later that there was a warrant for her arrest. The reason: More probation fees piled on after her probation was supposed to have ended. She spent 20 days in jail, and then she saw a judge. “Judge Craig looked at me and said, ma’am, you spent 20 days too long. Go home,” Hucks said. About 80% of misdemeanor probationers are supervised by private, for profit companies. Emory Professor Michael Owens, who specializes in politics and the penal system, says those companies hold too much influence over the decisions of judges. “What these private probations do is they lobby. They lobby state legislatures and they also lobby judges,” said Owens. Gov. Nathan Deal just signed into law a bill that will cap fees private probation companies can charge, but attorney Jack Long says the reforms fall short. “This problem won’t be fixed until Georgia abolishes private probation,” Long said. Channel 2 tried to reach Sentinel Offender Services for a comment, but no one from the company called us back. Kevin Thompson spent five days in a Georgia jail because he couldn’t pay a traffic ticket. He’s not the only one. More than three decades after the Supreme Court ruled it unconstitutional to jail people who were too poor to pay court fines, civil rights activists are accusing local governments in Georgia and elsewhere of doing just that, blaming a rise in cost-saving partnerships between municipal courts and for-profit private probation companies. Thompson’s case is emblematic of the criticisms against the industry. The 19-year-old was pulled over in July for driving with a suspended license, according to court papers. He was fined $810. But he lives in DeKalb County, where authorities contracted a private probation company to see to it that offenders make good on payments for tickets and misdemeanors punishable by fines, rather than processing the debts in-house. Typically in systems like DeKalb County’s, if an offender is found guilty and can’t pay his or her fine on the spot, he or she is referred to the private probation company, which will usually establish a payment plan and oversee the person until the fine is paid in full. If the person falls behind on their payments, they become subject to having their probation revoked and in some cases could face jail time. For Thompson, the suspended license meant he couldn’t continue his job as a tow-truck operator. Without income, he struggled to pay his fine. He was given 30 days under the supervision of a company called Judicial Correction Services to come up with the money, but Thomspon was​ ​only able to submit $85 – $30 of which the company retained for its own fees. So his probation was withdrawn, he was sentenced to nine days in jail and spent five of them locked up. Thompson’s experience ​attracted the attention of the ACLU, which last week filed a lawsuit arguing in part that the Supreme Court’s 1983 Bearden v. Georgia decision was meant to protect poor people from falling into just those types of traps. The group says the private probation system preys upon the poor, who are less likely to have extra money on hand to pay fines in a timely manner and more likely to end up in jail as a result. According to Thompson’s lawyer, Nusrat Jahan Choudhury, the system failed him in that it did not properly inform him of his rights to an attorney – the company’s probation officer allegedly told him a public defender would cost him $150, when the fee was actually $50 and could be waived entirely if Thompson could prove he could not afford it. Likewise, neither the probation company nor the court put forth any alternatives – such as community service or an extension of the deadline – as required by Bearden v. Georgia. These failures, Choudhury says, are the result not just of individual shortcomings but of an entire system in which for-profit companies, with a lack of oversight from municipalities that contract them, aim to collect the most money possible from the poor, through a probation program overseen and enforced by officers disincentivized from seeing that indigent people – those determined to be too poor to pay fines – are protected from incarceration. Chris Albin-Lackey, a senior researcher at Human Rights Watch, says Thompson’s case illustrates the larger problems with the partnerships between local governments and for-profit probation companies. His organization last year issued a scathing report on the practice, which it says has ballooned to more than 1,000 courts across the country. A Georgia audit on its misdemeanor probation system published last year found that very few contracts specify how a probation unit is to determine whether a probationer is potentially indigent. A number of basic oversight measures – how many cases are opened and closed, for instance – are also often left unspecified. Nevertheless, growing popularity of the system reflects an increasing dependence on court systems to help municipalities balance their books through fines for low-level offenses like traffic tickets and disorderly conduct. “A lot of courts are really hiring private probation companies because they are looking for a debt collector,” Albin-Lackey says. Florida was the first state to experiment with private probation companies, but the industry flourished in Georgia – where about 80 percent of misdemeanor probation is run by for-profit companies – after the state cut its services to handle misdemeanor probation in 1991, shifting the responsibility to county and local governments. Now, at least 13 states allow localities to outsource the collection of misdemeanor fines to for-profit probation agencies, Choudhury says. The practice is particularly robust in the South – in Florida, Georgia, Alabama, Tennessee and Mississippi – but has spread as far as Montana, Washington and Utah. Typically, the private companies – which include big conglomerates like JCS and Sentinel Offender Services, but also many small companies – give local governments a deal they can’t refuse: an offer to collect over time the fines offenders can’t pay on the day of sentencing without any charge to the municipality. “From [the government’s] perspective, they think they’re getting something for nothing,” Albin-Lackey says. What the probation companies get is the ability to collect additional fees for their supervision services directly from the offenders. The for-profit institutions are allowed to impose additional administrative fees for as long as it takes offenders to pay fines, meaning that people may ultimately pay thousands of dollars for tickets that were initially just a fraction of that amount. While local contracts often spell out exactly how much a probation company can charge for certain services – like administrative fees, but also for ankle monitors or drug testing – those numbers are often arbitrary and vary across districts. Companies are known to hike those fees without notice or approval. The industry is extremely opaque, and Georgia is an exception in that it has a regulatory scheme at all. The state requires probation companies to report the money sent back to the courts – nearly $100 million in 2012, according to the Human Rights Watch report. The companies do not, however, have to report how much money they are recouping off additional fines and fees. 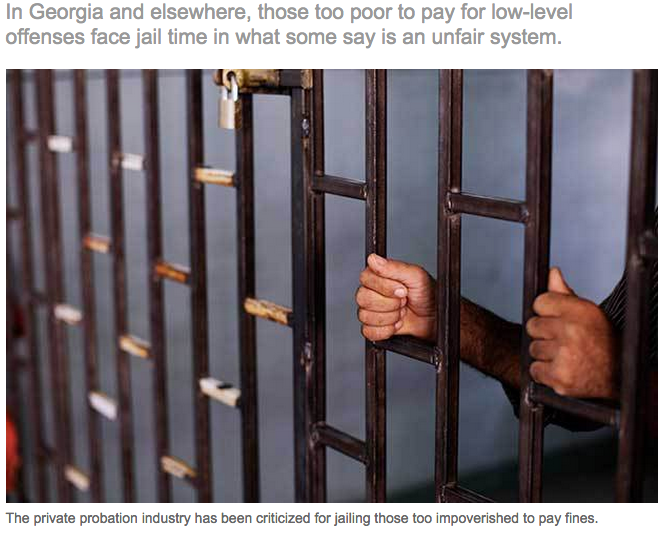 By reverse-engineering a specific fee that the companies were required to disclose, Human Rights Watch roughly estimated that the for-profit probation industry in Georgia netted at least $40 million off the extra fees. In other states, that number remains entirely a mystery. “A lot of courts have no idea how much money their probation companies are extracting for themselves from these misdemeanor offenders,” Albin-Lackey says. Thompson’s is not the first lawsuit that alleges wrongdoing on the part of a private probation company and the local governments that employ them. ”It seems like a lot of attorneys are starting to see this as an area to bring suits,” Albin-Lackey says. Jack Long, a Georgia attorney, has represented a number of clients claiming abuse by the private probation system. One case of his, on behalf of 13 plaintiffs, made it to the Georgia Supreme Court, which upheld the constitutionality of private probation collecting services but limited their ability to extend the sentences of the offender. When complaints are made, the response is mixed. A county judge in Alabama shut the entire private probation system in Harpersville, calling it a “debtors prison” and a “judicially sanctioned extortion racket.” When contacted about the lawsuit, DeKalb County spokesman Burke Brennan said the county does not comment on pending litigation. Judicial Correction Services did not respond to multiple requests for comment. Another lawsuit in Alabama – also against Judicial Correction Services – is ongoing. Georgia’s DeKalb County, where Thompson’s suit is filed, is considered to be one of the most notorious private probation systems in the country. Human Rights Watch estimated that JCS collects $1 million in annual revenues there, making the the system, it is believed, one of the country’s most lucrative. In one 2013 episode recorded in the Human Rights Watch report, 600 probationers were summoned with little explanation to the recorder’s court, where a JCS employee confirmed verbally for a judge, without presenting proof, that each of the probationers had unpaid fines for which a warrant had been issued. Those who could not pay their fees entirely were told they faced arrest – prompting chaos in the courtroom – and some 60 people ultimately ended up in jail. When contacted about the lawsuit, DeKalb County spokesman Burke Brennan said the county does not comment on pending litigation. Judicial Correction Services did not respond to multiple requests for comment. Regardless of the conclusion of Thompson’s lawsuit, the debate over the role of private probation companies in Georgia is likely to continue. “One advantage is they can service rural areas more financially efficiently than a governmental probation unit could,” explains Dale Allen, chief probation officer at the publicly run Athens-Clarke County Office of Probation Services, pointing to the start-up, personnel, contracting and other costs that a smaller municipality would struggle to bear. Allen worked for private probation companies before his current role in the government unit, which reports quarterly numbers – including the fees it charges, the cases it opens and closes, and its use of alternative methods. “Transparency overall is the biggest issue in the state of Georgia. I think the perception – right or wrong – is that private probation is not transparent,” Allen says. The concern over transparency contributed to Georgia Gov. Nathan Deal vetoing a bill last year that would have allowed private probation companies to be even more secretive. “I favor more transparency over private probation services,” the Augusta Chronicle quoted him as saying, and he noted that the language appeared to be a preemptive response to the lawsuits against the industry. His veto came not long after the state audit of the system illuminated its lack of oversight. Deal has made criminal justice reform a priority, and the task force he formed is expected to release a new report this month on changes recommended to the probation system. As reported by the Atlanta Journal-Constitution, among the proposals will be a requirement that private companies disclose the revenue they take in with their supervision fees, as well as more safeguards in the local court system to prevent the very poor from being jailed because they are unable to pay the fines. CALL TO ACTION FOR MAY: Ask the Augusta Assistant DA and the Court to not prosecute this innocent father. The Georgia Court of Appeals and Supreme Court are also asked to review this case and understand how this case went from a clear civil matter to what it is now. This is wrong, and the same bad practices are affecting many good and innocent mothers and fathers in Georgia. WFXG Augusta Fox54 reported last night about the innocent father jailed for going to see his daughter. This group of supporters is building in strength and number, and showing how effective you can be when supporting both fathers and mothers who are being damaged by the same unethical custody experts on these cases. This father believed he was not violating a court order when he went to see his daughter, but he had been set up to fail. What started this? A psychologist decided this father should not have such a strong bond with his daughter so he cut them off from each other for weeks (6-8 weeks). When a good, nurturing parent is cut off from a child who truly needs that parent…it causes severe damages for both. Can you imagine being the parent your child relies on the most, and being told you have to avoid seeing her and that she can’t be told what is going on? Can you imagine also having your career taken from you, your vehicle and work tools, so that you have to leave town to find income to pay the fees put on you by this same custody “expert” who is destroying your child? She now feels abandoned and confused, and it will take time to learn the depth of her suffering. How can she know what has really happened to her father and why? Because this father has been denied medical treatment, and is being denied a real defense with full access to the evidence and testimony to support his case, the court found him guilty on civil contempt charges. He is now facing the criminal charges that would not exist but for the bad practices of the custody experts on this case. Keep it going advocates, supporters and Augusta news media! If you are outside of Augusta or interested in learning how good parents are being set up to fail, and how our child custody laws are being undermined and our criminal justice system is being misused, this is a good case to examine and follow. Parents around Georgia and the US who are struggling with similar cases: this is a true team effort here. This group has found a way to strengthen each other, and to leverage the information and tools demonstrated by @MyAdvocateCentr in the Atlanta area cases and news reports. Find people in your area and repeat what we are doing in Augusta – – this is possible! If you haven’t yet read “Green Light Augusta” and seen the series of stories here in Georgia spelling out how parents and professionals are pulling together to undo and recover from bad family court practices, this is a good time to get up to speed and take action. 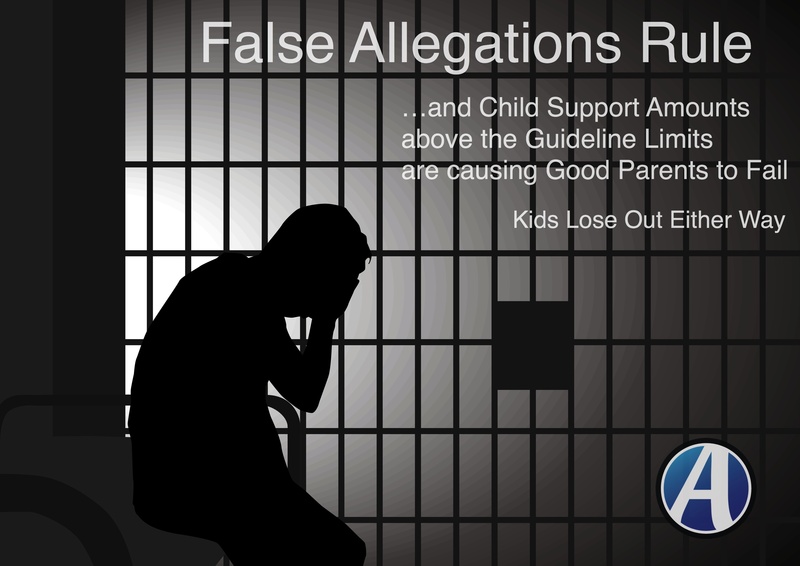 You’ve heard most likely about false allegations being used to give one parent an advantage over another, right? Now we can show how certain custody experts play a key role in carrying those false allegations through the process to help the Court reach the wrong outcome in select cases. Join the Augusta Court Watch going on now. Observe, learn, ask questions and report on how this innocent father is being treated. Ask what can be done to ensure the available evidence and testimony are used to not only exonerate him, but help him restore his life and career – and more importantly get his daughter back in his care. We are expanding on this case and other critical situations on Facebook and Twitter, and using LinkedIn as well. See this Event Page on Facebook to join & follow the updates. We know that a GAL in Augusta was guiding the Courts there to take custody away from mothers who would not give in to his demands, but other very harmful situations are happening involving fathers as well. This post is about yet another case manipulated and “thrown” by suspect practices inside of a child custody case in the Augusta district. Now – this week in early May 2014 – this father is being held while a jury is selected, when he knows that transcripts and other evidence and testimony have been blocked by this court in the past, so that he could not prevail. It is a dire situation for him and his family, but the community is beginning to rally around him. How can YOU help out? Will you be there to watch how the court handles the evidence and testimony? Will they continue to deny him due process and insist that he serve time when it was the custody experts who suppressed evidence and set him up to fail? The court has left him jailed for many weeks without bond and has denied him due process throughout his custody case and now into this criminal case (one that never should have been taken in the criminal court to begin with). He was taken into custody because he mistakenly believed he should be allowed to call his daughter and to see her before he left town to start a new job. WHY was he having to leave town to start a new job? Because the Court and these custody experts made him turn over his work vehicle and tools – and all of his premarital assets – to cover their fees. Fees that were NOT necessary on this case. He lost his ability to work there near his daughter, so he was forced to take a job out of STATE in order to earn enough to pay both child support AND the outrageous and unnecessary fees on his case. He merely wanted to say goodbye to his daughter before leaving town. He tried to file an appeal to better manage an unmanageable custody outcome, and the Court chose to jail him instead of allowing him to move forward on appeal. Can you even fathom how complicated and challenging it is to defend yourself against something like this? Unfortunately this is the reality in many counties when the wrong custody experts get involved in your case. This is the reality for many families in the Augusta and Atlanta areas. Back to this case and to this father. This is URGENT that leaders and news media learn more and investigate this case! His daughter needs him and misses him, and doesn’t understand why her good father cannot provide for her as he was doing before this case was interfered with like it was. The mother in this case was led to believe it was right to allow the Court and police to believe he posed a threat, when he did not. Now she and her daughter are unable to get child support, and her daughter faces losing a devoted father on top of that financial support. Yes, this case shows the same issues as the cases that have been in the Augusta and Atlanta news. The custody experts used on these cases should be investigated and have their billing records and reports thoroughly reviewed. Now we know… So, what is the next step? Professional misconduct is leading to bad outcomes on child custody cases. More questions are coming about the appointments and management of certain professionals on these cases. Even bigger questions are being asked about whether or not child custody cases were “fixed” and whether good parents and children were harmed as a result. Our attention this week is on a trial that should not be happening. 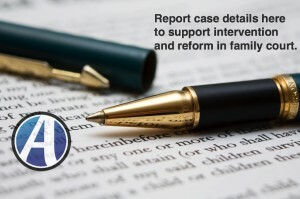 The child custody experts in this Augusta case decided to restrict and punish an innocent parent, he fought back by doing what he believed was the right thing – using our Court system – and is now facing a jury trial on false allegations. It is clear the Court tends to convict him and put him away so that he and his daughter cannot recover from this. Please ask how this case relates to the news stories about the misconduct of the GAL operating in this same district who has been guiding case outcomes according to what served his needs. Specific to the now resigned former GAL and local magistrate judge Doug Nelson, help us ask, “Who knew what and when did they know it?” That question is asked in all seriousness, as it is becoming apparent that court officials stood by as this abuse occurred. Please keep in mind that the women in these news reports, the ones harassed, manipulated and intimidated by this GAL, are not the only ones to lose in these situations and they are not the only ones injured in the underlying cases. Some women have lost their children because they would not comply with the demands for sexual favors. These cases need to be reopened and children returned to the mothers they miss and need. Other women have been traumatized in different ways, which includes some being threatened with jail or going to jail when they tried to fight back for their children. Good fathers have also been harmed because certain officials stood by while cases were mismanaged and evidence ignored that would have allowed these fathers to have better outcomes, and a better life with their children. This story and these issues are affecting everyone. Including the father who is on trial in the Augusta area this week – for what started as FALSE allegations around one of these custody cases in this court district. Just like the court officials knew that Doug Nelson was causing injury to mothers and to their child custody cases, related officials and custody experts knew that this father is innocent and that evidence and testimony that could exonerate him is being disregarded. Where there is smoke there is fire…and this case has overlapping issues, meaning this case needs to be halted and this father exonerated due to the professional misconduct involved. Get involved, and tells these professionals and court officials and local law enforcement that children, parents and grandparents deserve better than this. What will it take to start revisiting the rulings made based on custody reports by this GAL and his associates in Augusta, Georgia? Who is STOPPING good parents from caring for their children? …stopping them from WORKING so they can provide for children? Spotlight on Augusta, Georgia and on Columbia County for what the local Superior Court and law enforcement agencies know is being done improperly to a good father. He is a good, hard-working man who loves and misses his child, and he deserves our support and attention from our leadership and news media. A Candlelight Vigil is being held to light up the dark and drafty space surrounding the detention center where this man is being mistreated. See this event page to RSVP and watch for updates. 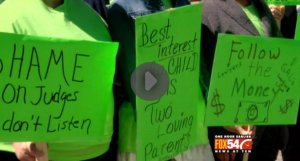 Now that this case has been investigated by others outside the local system in Augusta, we are giving the “Green Light” for people to raise awareness about the dangers to every parent in this area who might pass through this court system. The situation described in this video is disturbing, but it is also disturbing to us that a good father…also seeking to protect his daughter…is being held in jail on false allegations. There are some very interesting similarities on these two cases. Both involve DFCS, law enforcement and certain child custody “experts” and the numbers and rulings just do not add up. Both are leading to damages to these children. Damages that can be avoided and that should be corrected. We are asking law enforcement and our state and local leaders to bring transparency into this father’s case and into Augusta to see why so many good parents are unable to care for their own children, why they are losing their property and jobs, and their health. What about the laws? Are they being followed? Keep asking, and show up for these families. Follow #NeedforGreen to learn more about what is holding back good parents, leaving families in worse shape than before. Post by FOX 26 Houston. Please study local cases and ask questions, especially of Judge Michael Annis about judicial procedure and the use of evidence to exonerate innocent parties. It appears the evidence was ignored here and a good father jailed because he stood up for his rights to parent and protect his daughter. He is fighting for his right to work and to provide for her — and for the chance to recover from what was done wrongfully to him in his divorce and custody case. Video testimony is helpful in getting what this is like, the reality for people in this situation, so please take a few minutes to watch this, and see that what happens to this woman in court is the SAME as what happened to this man who is now in jail in Augusta – away from his child who needs his protection and support. This father wants to get back to work, so that he can pay child support, plus manage the outrageous fees put on him by these court professionals. Let him out. Let him work. Let him defend himself. Give this child her father back.